Praised for its precise and energetic interpretations of larger-scale chamber works, the sound from the Academy of St Martin in the Fields Chamber Ensemble is so brilliant, it nearly glows. "Their sound is sweet and pure, their work airtight," The Washington Post declares. 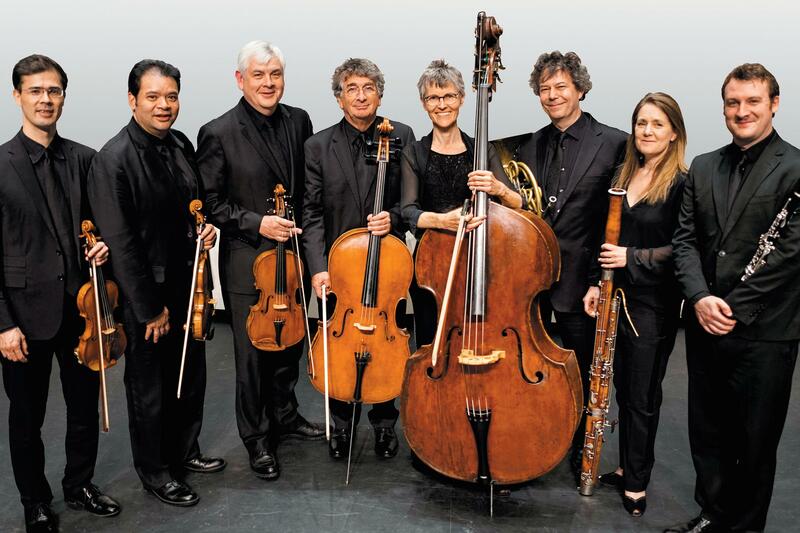 Formed in 1967 by the venerable orchestra of the same name, the Chamber Ensemble has earned international distinction through world tours, an extensive, award-winning discography, and the virtuosity to play a wide range of classic and contemporary compositions. At Duke Performances, the group offers a horn-centric program consisting of spirited takes on two twentieth-century gems and a Schubert masterwork. Serenata in vano, Carl Nielsen's compact serenade, transforms a melodic intertwining of clarinet and horn into a taut march underlined by double bass. Jean Francaix's jovial Octet, written by the prolific French composer in honor of Schubert, pairs naturally with the magnificent Octet in F Major, D.803, the largest-scale chamber work Schubert ever wrote, scored for string quartet with double bass, bassoon, clarinet, and horn.